One of the best parts about "growing up" -- at least to me -- is the ever-deepening understanding of how truly unimportant I am to everyone around me. I'm not saying that we are not all important in our little ways. Each of us has an effect, either grand or minimal, on those around us. But, for some, it is hard to latch on to the concept that we are not the center of everyone else's lives. For instance, at the moment, I have a beard. 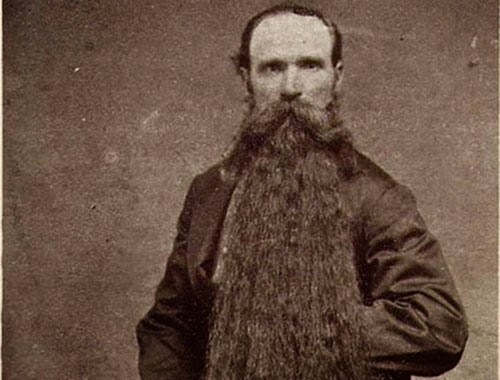 It is not much of a beard, if you ask me, but it is a beard. There is no mistaking it for a beard, grant you, but it is not Gandalf -level robust. The fact is, be that as it may, that I never would have had a beard if it were not for a charity "Movember" event at my school for the benefit of one of our students. Let me be clear: I bristle at things like this. The ice bucket challenge? It made me angry and I refused to participate. I like my charitable acts to be anonymous. (Also, to me there is nothing more annoying than a campaign to pressure people into good deeds... I could write a whole post, but I won't... Besides, Mike Rowe did the job already.) But this group-inspired fundraiser, I did. Why? Because this was for one of our kids. One of my kids in the school in which I work. I fought and beat cancer once upon a time. I know the feeling and if by joining a charity campaign -- one I would usually ignore -- I could contribute to this student's recovery, I didn't see any value in thinking of myself first. This thing is direct; this is something she would see; this is something I know would have an effect. At that point, my preferences ceased to matter. The cost (being uncomfortable with a beard and doing something that. both literally and figuratively, makes me uncomfortable) versus the potential benefit (elevating the spirits and contributing to the recovery of a young lady) is more than worth it. Level one realization: My feelings and comfort simply are not as important as the young lady's recovery. Then, there is the idea of walking around with a beard. I am not a beard guy, to begin with. I feel a tad silly with a beard. I am not knocking beards or beard guys, it's just that my self-concept never included a beard. But, guess what. No one cares that I have a beard. I go into stores; I go into school; I see people at drive-through windows; I see former students who come to visit... No one cares about my beard. Very few even mention it. Level two: My beard is unimportant because I am not as important to others as I am to myself. It is like my uncle once said to me when I complained that every time I went to a Phillies game, they lost. He replied, "What makes you think you're that important?"